Free of Dyes. Free of Parabens. Free of Gluten. For best results, exfoliate skin prior to sunless treatment. Shake well before use. 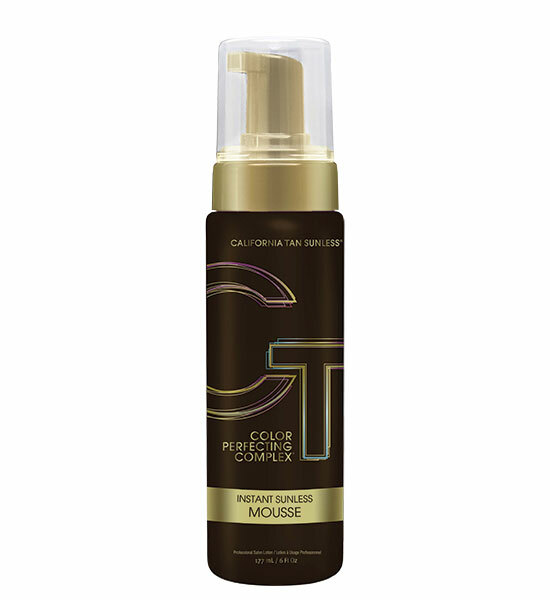 Pump mousse into palm or mitt and apply over entire body in circular motions while using the instant bronze tint as a guide for even coverage. Wait at least four hours before bathing to allow color to develop. Tip: To build a deeper tan, apply once daily until desired darkness is achieved.